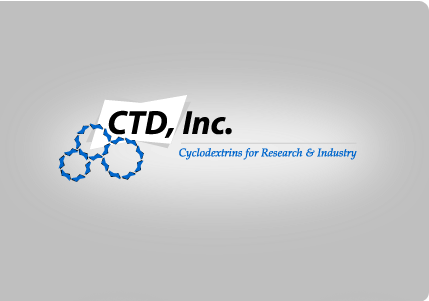 CTD offers a line of chemicals already complexed with Trappsol® cyclodextrins. They are categorized as Drugs, Flavors, and Miscellaneous chemicals. Their catalog numbers begin with AP to designate that they are Aquaplex® complexes. The AP is followed by a four or five letter abbreviation of the active ingredient, ending with a number designating the type of Trappsol® cyclodextrin used in their manufacture as listed below. Note: The reported incorporation rates are approximate and may vary between batches.